Github Source Code Repository – To keep the work flow of our developers smoothly rolling along we have chosen git as source code revision system and Github as our home on the web. Github is a friendly web interface to git that allow’s multiple developers to each work on his/her source code independently. They can then merge their changes back up to the trunk code for project releases and milestones. This is where you go if you want to read the actual code, dissect how the inner pieces of DASH work, or just need something to put up on screen to look all geeky for when others at the office are screen peeking you. DASH Website – The go to place for all things DASH. Software downloads, resources, news, and just about everything else. This is the url you should be making sure your downloads are coming from when you are looking for wallet updates. Don’t be fooled by impostors! 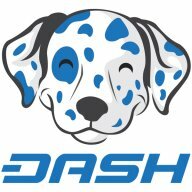 DASH Forum – Discussion, discussion, discussion. This is where it all happens. Thanks to Propulsion for maintaining this very important community asset. This is where the developers and foundation engage with the community and get their input on various project ideas and direction. Beware of the lurkers. Trolls haven’t really gotten to this place as much as the BCT thread so it is definitely a good spot to find information but digging through all the noise can be a time consuming task. One of the reason’s Dashdot was created was due to sheer frustration around the time consuming nature of dissecting all the posts for good bits of information hidden deep within.